I'm devastated by terrible floods in Serbia, which struck the country this May. Thousands of people got evacuated, hundreds were trapped in their houses. Images are terrifying and the worst is yet to come. Serbia declared a state of emergency on Friday, May 16th 2014, after heavy rains caused rivers to overflow, killing so far 51 people while 4 are still reported missing; forcing thousands to evacuate, and leaving thousands more without power and drinking water. 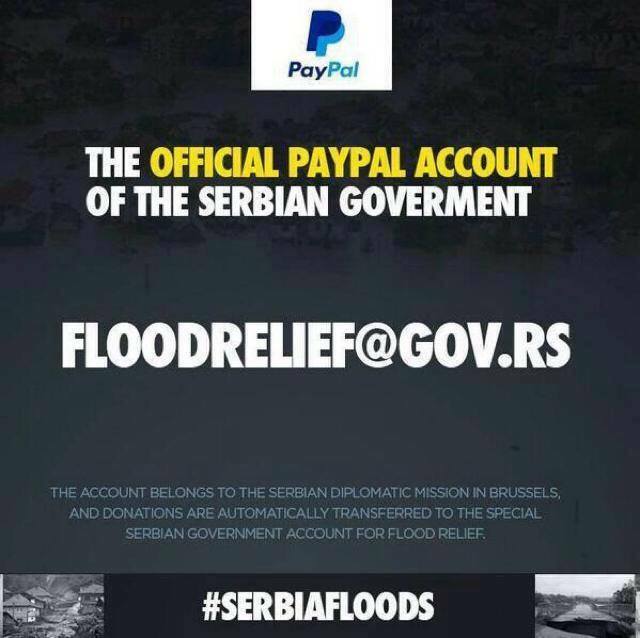 You can either donate money or bring necessary goods to your nearest Serbian Embassy. The Serbian people are grateful in advance!! !